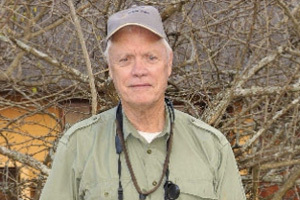 Peter is an American authority on outdoor safety and survival, and is part of the Outdoor Africa- USA team. Having been born and brought up in Kenya, Peter comes from an illustrious family of conservationists and big game hunters (his grandfather was Arthur Blaney Percival, the first game warden in Kenya, and his uncle, Phillip Percival, the White Hunter to Pres. Theodore Roosevelt and Ernest Hemmingway). Peter experienced the "golden era" of the East African safari period before relocating to the USA with his parents. In 1992, concerned with the number of deaths and injuries that occurred in the outdoors each year, Peter started the Survival Consultant Group and later OutdoorSafe. He has since addressed over 18,000 people as the featured speaker at numerous seminars, conferences, and national conventions. His efforts have reduced the number of people becoming injured, ill, or dying in the outdoors each year. Peter is a member of the Outdoor Writers of America Association, the Foundation for North American Wild Sheep, and the Federation of Fly Fishermen. Peter is also a life-long member of the Dallas Safari Club, Safari Club International, the Rocky Mountain Elk Foundation, the Wild Sheep Foundation, and the Rocky Mountain Bighorn Sheep Society.